When you step off the plane in Japan your first impression may be that compared to your home country, Japan is different. Some things may seem unusual and you may have experiences that had not been a part of your daily life. In a short time, however, you will realize that everyday life is not really so different. Like anywhere, life in Japan will be exactly what you make of it. Opportunities abound for those who wish to travel, to learn Japanese or even to save money. AEON does its best to make our teachers’ transition into Japanese society as easy and enjoyable as possible. The staff at your school will assist you in getting settled in your new home and opening a bank account. Teachers live in their own company-provided apartments. The rent is subsidized by AEON to ensure consistent living expenses among our foreign staff. Teachers are responsible for paying all other living expenses. 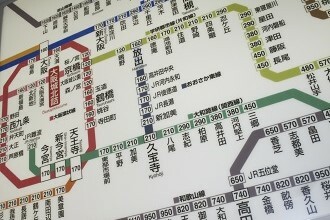 Many people have the impression that living in Japan is expensive. Actually, life in Japan can be quite affordable and those who wish to save money will have no problem doing so. Of course, the amount saved depends upon each teacher’s lifestyle and habits. 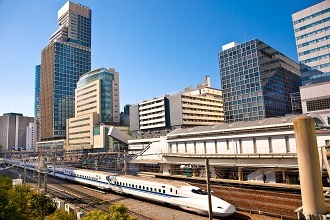 Japan has much to offer the individual who wishes to broaden his or her personal experiences. 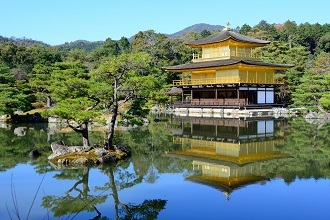 The travel and adventure possibilities in Japan and in the countries around Japan are almost inexhaustible. Your students and coworkers will be more than happy to share information with you about the best places to see and explore. You will meet fascinating people and have many wonderful experiences. Japan is an engaging blend of old and new; it is a country that has thousand-year-old traditions, and yet is also on the cutting edge of technology. You may see women in kimonos talking on the most advanced mobile phones in the world and high speed trains zooming past temples that pre-date the discovery of North America. It is an amazing and sometimes seemingly contradictory blend of ancient and modern. For those who long for things from home, Japan offers a range of westernized services and products. You will be able to watch American movies, buy English books, and eat in western restaurants. There are supermarkets and department stores where you can buy clothes and food from around the world. While you may not be able to find the variety of western items to which you are accustomed, with a little effort you can usually find what you desire. Twenty-four hour convenience stores are abundant in Japan with all – possibly even more – options than in convenience stores in other countries. The interests of our teaching staff vary greatly, but the range of cultural opportunities for education, entertainment and growth is wide enough to satisfy any personality. Getting to know AEON’s Japanese staff members and exchanging cultural information with them is also part of the experience. Planning group outings with coworkers or students can be fun and memorable. When teachers become involved in activities outside of teaching, their experience in Japan becomes that much more complete.